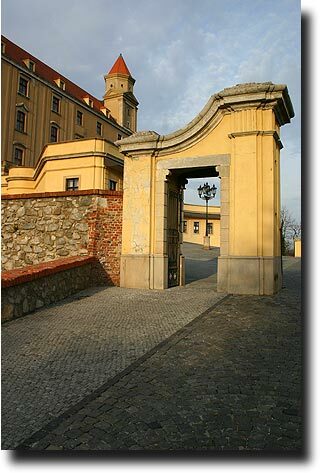 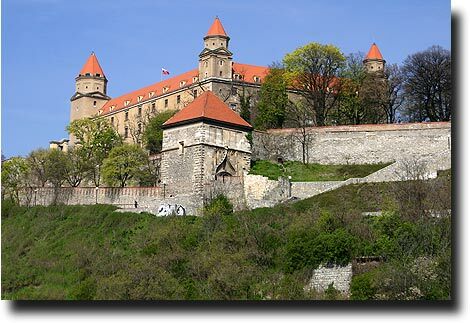 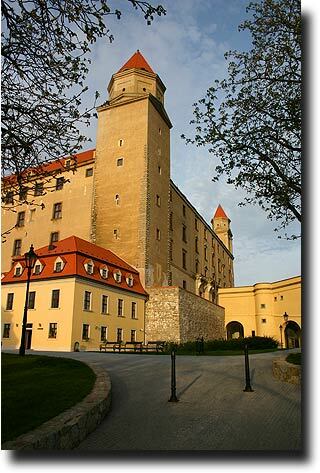 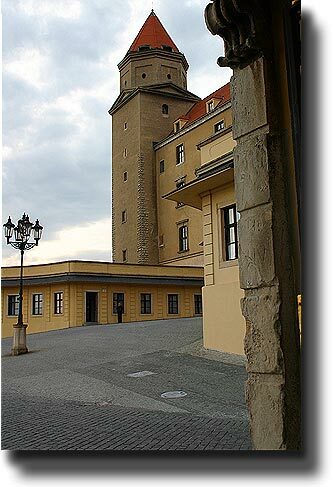 The castle is the defining landmark of Bratislava. 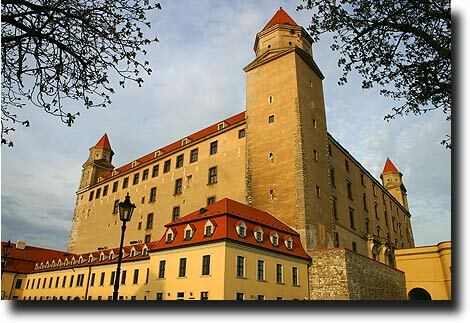 Constructed to overlook the entire city, it is the historic center of the ruling families. 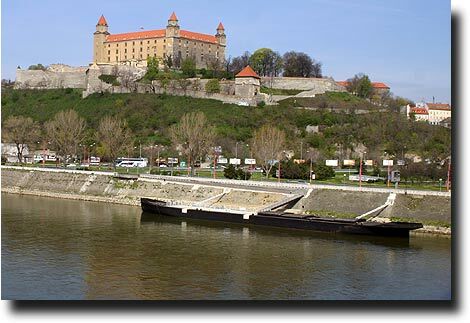 The Danube flows below the ramparts of the castle, and is still a great source of commerce, transportation, and entertainment. 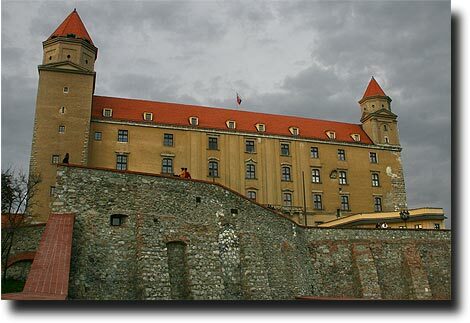 The castle is very utilitarian - basically a tall square with turrets at each corner. 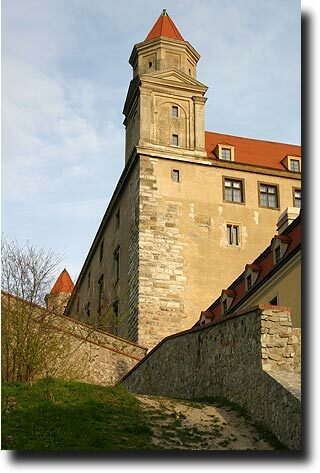 While it doesn't have fancy domes or ornate battlements, it shimmers in the evening sunset and is very imposing as one sees its true height. 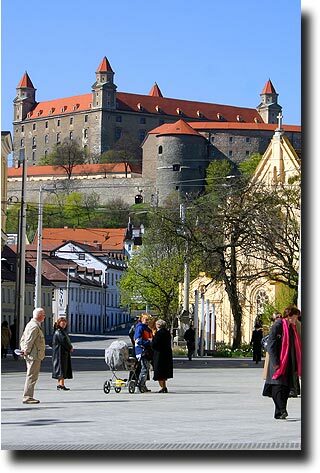 From the old town, it seems to be protectively hovering over the streets and churches, and one can find its reflection in the glass windows of the modern buildings below.